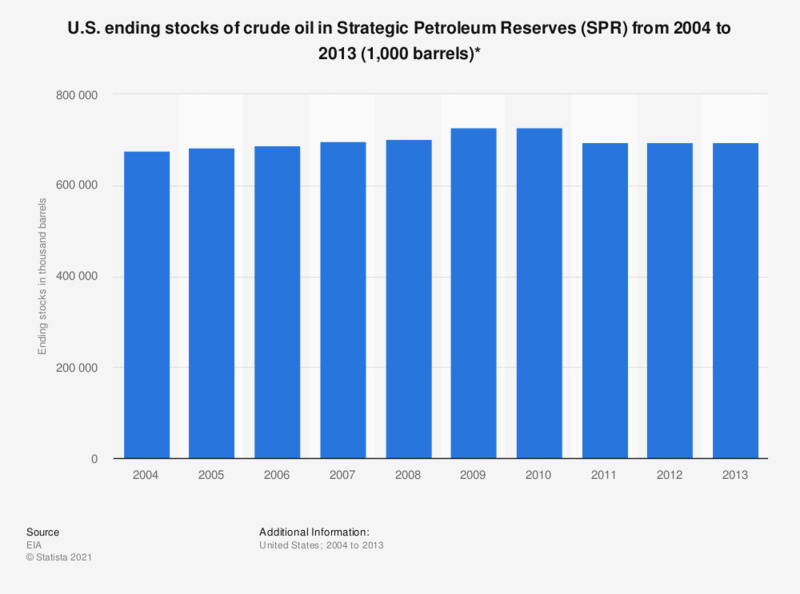 This statistic shows the U.S. ending stocks of crude oil in Strategic Petroleum Reserves (SPR) in the United States between 2004 and 2013. In 2008, this figure stood at around 702 million barrels. SPR crude oil stocks include non-U.S. stocks held under foreign or commercial storage agreements. * SPR crude oil stocks include non-U.S. stocks held under foreign or commercial storage agreements.